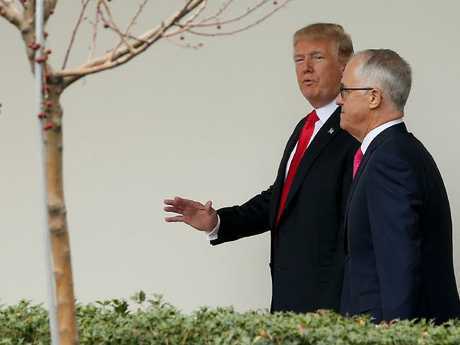 MALCOLM Turnbull urged the US to resist the forces of isolationism and maintain its status as a global leader as he wrapped up his successful four-day visit to Washington, DC. 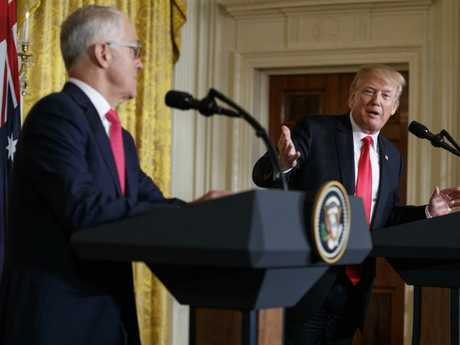 After enjoying "frank and productive meetings" with President Donald Trump and Vice President Mike Pence in the White House on Friday, the Prime Minister told a meeting of US governors on Saturday that Australia had set a powerful example on the benefits of open markets. He said the 400,000 new jobs that were created in the country last year and its sustained economic growth were thanks to strong trade links with other nations. 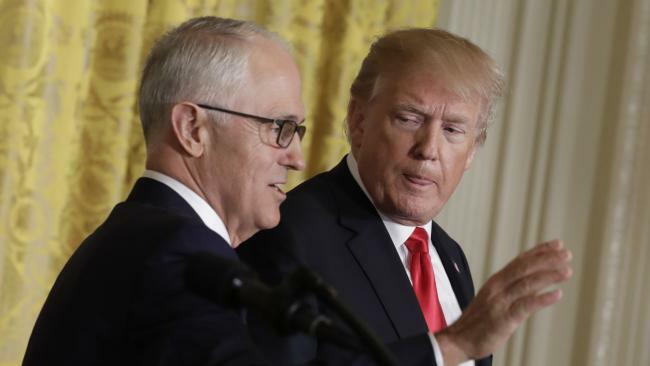 "The challenge for us as political leaders is to ensure that the easy lure of protectionism doesn't overtake us," Mr Turnbull told the National Governors Association. "I think you have to just make the case that more trade means more jobs, more investment, more exports." The Prime Minister stressed, however, that he did not intend to lecture his American friends. "We're happy to share our experiences, but we certainly don't presume to give advice," he said. And despite a rising tide of isolationism, Mr Turnbull argued that the US was at its best when it was acting as a global leader. "I know it's fashionable to call the passing of American leadership, condemn democracy to an inexorable decline, but let me tell you that's not what I'm hearing from our trusted partners in our part of the world. And nor is it what the Trump administration is engraving into its most important policy statements," Mr Turnbull said. "American leadership in the world is in our interests but it is in yours too. "I stand with generations of American leaders who've seen its global alliance network not as a burden but as a force multiplier that first and foremost has enabled American prosperity and security. "As President Trump himself reminded us, 'America first does not mean America alone'." 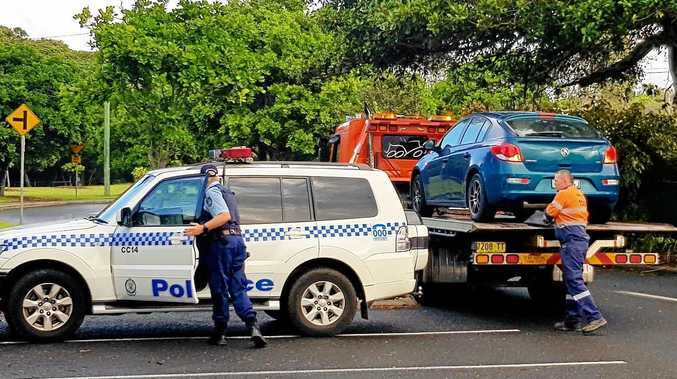 The meeting was also attended by four of Australia's premiers, its two chief ministers and a delegation of business executives that included Andrew "Twiggy" Forrest, Anthony Pratt and Kerry Stokes. 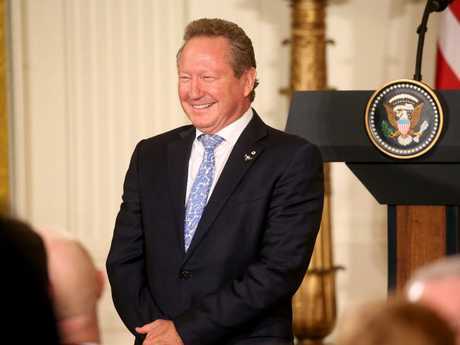 The large presence of Australian leaders led the association's chairman, Nevada Governor Brian Sandoval, to joke: "We wondered who's running government in Australia right now?" The Prime Minister was all smiles on Saturday before flying out of the US capital bound for Canberra. As well as enjoying what he said was a "very, very valuable visit", he was no doubt pleased that the drama over his deputy prime minister, Barnaby Joyce, was resolved in his absence, with the Nationals leader resigning after his extramarital affair was exposed. As a thankyou for their "very warm welcome", Mr Turnbull and his wife Lucy gave Mr Trump and first lady Melania quintessentially Australian gifts. 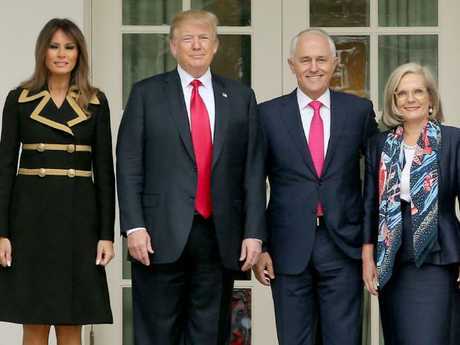 They were each presented with a pair of black leather RM Williams boots, and Mrs Trump was also given a pure silk scarf, hand-picked by Mrs Turnbull and made by a small business in the PM's local electorate of Wentworth in Sydney's east. Before flying out, Mr Turnbull said the trip had deepened ties between the US and Australia. "This is a real high point in the relationship," he said. "The values we share, those Australian and American values - democracy, freedom, the rule of law, enabling that spirit of enterprise - are timeless and in this age of unprecedented change both in its scale and pace, those timeless values are more timely than ever."